In this digital age, everyone has heard how the record store has vanished—both the big chain stores and the small independents. Well, visit Nashville and you will see that is just not true. Here in Music City there are many who still prefer the better sound quality of a CD instead of a compressed mp3 file. Many, including me, also prefer to get something tangible for their money, something they can perhaps even get autographed by the artist. Throw into the mix the resurgence of the warm sound of analog on vinyl records, and you have the need for your local record store. 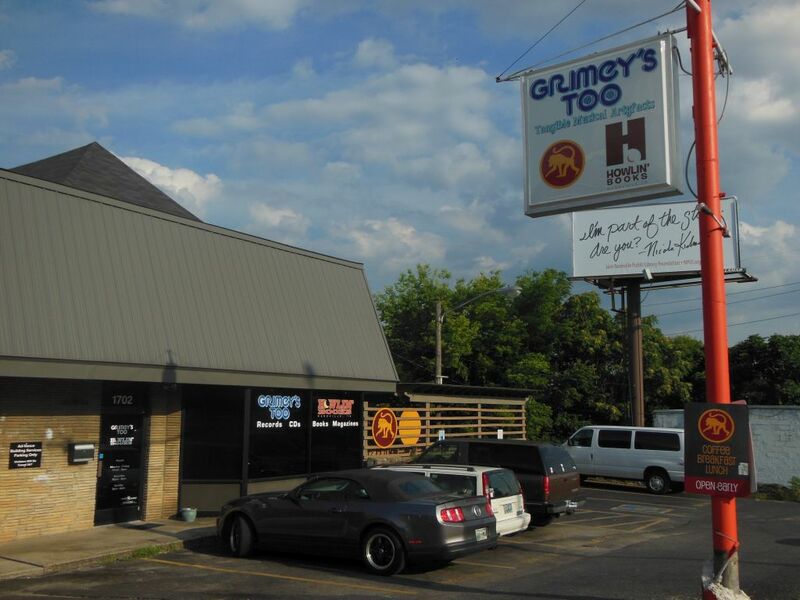 Music City is proud to boast that Grimey’s is recognized as one of the best record stores in the country. It is usually mentioned along with Los Angeles’ Amoeba and Austin’s Waterloo as being in the top three. While it may be somewhat smaller than those two, you won’t be disappointed by its wide selection and overall charm. 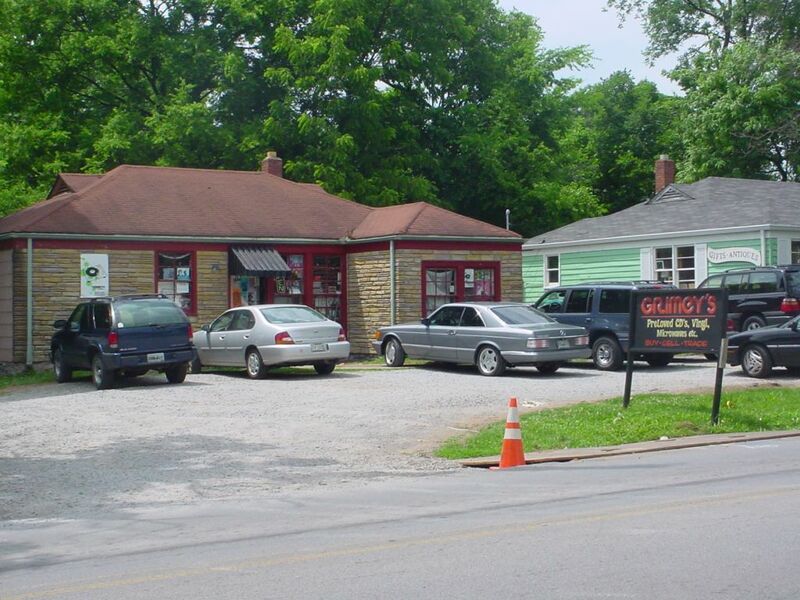 Grimey’s was fathered by its namesake Mike Grimes, a local musician, who started the shop in 2000 at an earlier location on Bransford Avenue in Berry Hill. Mike opened the small store taking CDs from his personal collection posting note stickers with his personal adverts on many of them. 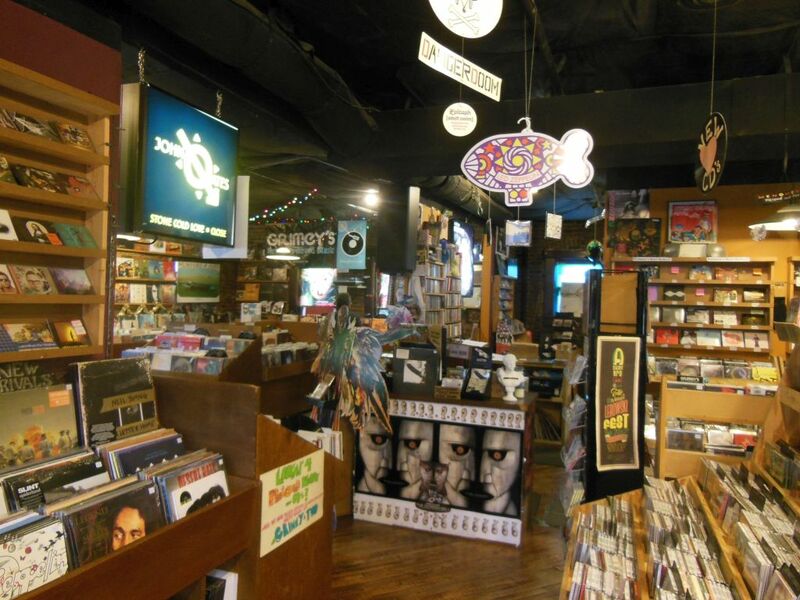 Grimey’s soon became Nashville’s major CD trading post, and later expanded to include new CDs and vinyl after the arrival of new partner Doyle Davis, a legend at the local Great Escape record store. Mike and Doyle’s domain soon busted out of the Berry Hill space forcing relocation in 2004 to the current building on 8th. 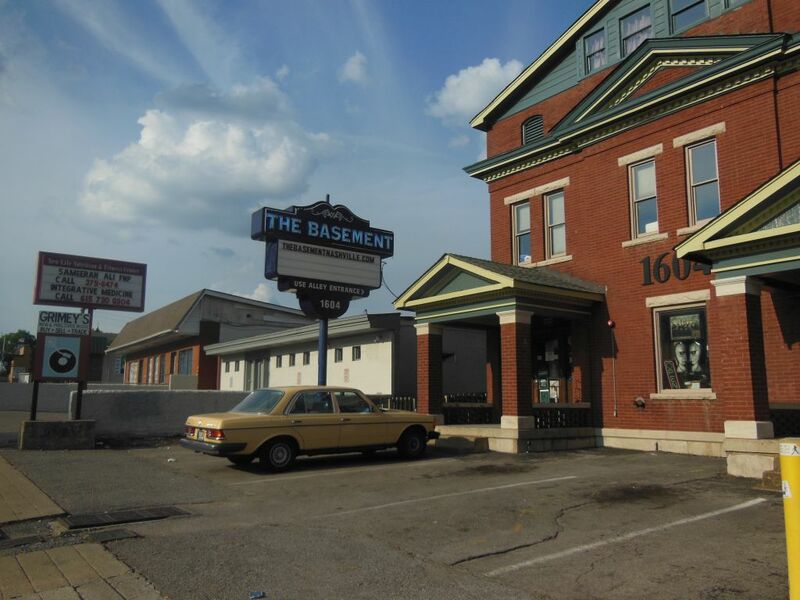 (The store sits atop The Basement music venue of which Mike Grimes is also a co-partner.) In 2013, the store sent its used product a few doors down to a new Grimey’s Too satellite store which also shares space with a bookstore and coffee shop. Plain and simple, Grimey’s is your old fashioned, tried and true, local record store. It grooms and maintains a knowledgeable staff who love to talk music and help fulfill your musical desires (Grimes and Davis included)! It is a place where you may find competition amongst the racks from a local or national band playing live in the store supporting a new release. 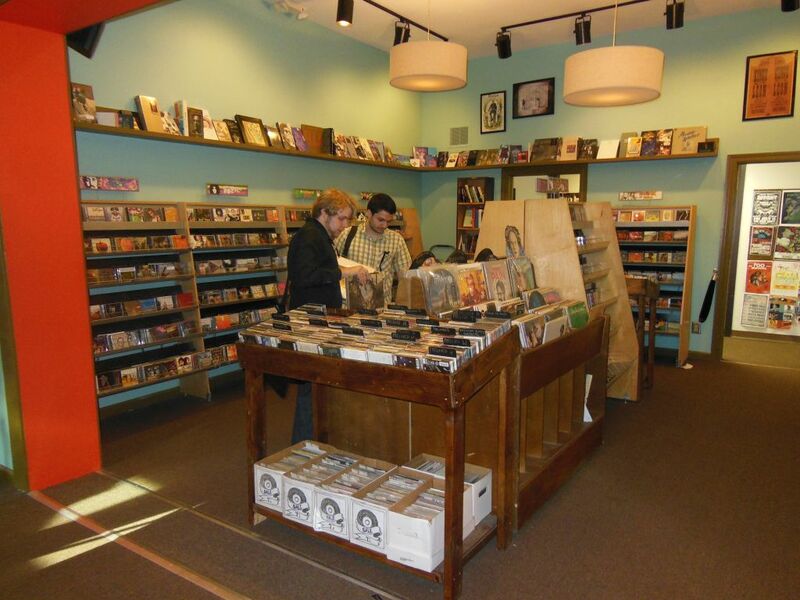 Bands that have played in the store include The Black Keys, Drive-By Truckers, and Phoenix while the likes of those that have come for record signings include Brian Wilson, Elvis Costello, David Byrne and Nick Cave. The long lines every year attest to the fact that the store is one of the nation’s best places to be on Record Store Day. Grimey’s is one of only a few stores that is sure to get at least a few copies of everything. Grimey’s New and Preloved Music is a must for anyone visiting Nashville who loves to own hard copies of their music. It’s the kind of place where you will leave with something that you were looking for and something that you weren’t. For you nostalgia freaks, here is the original location.